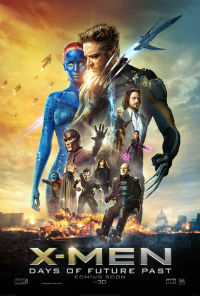 Let’s not beat around the bush… Bryan Singer’s latest instalment in the X-Men franchise is one of the best comic book movies ever made. It impressively crams so much into just two hours – exploring a lot of parallel stories and character arcs – some remaining faithful to the comics and others more in-line with the previous films. Furthermore, it caters to both newbies and passionate comic fanboys alike. Easter Eggs are cleverly scattered throughout, but the story also stands alone – allowing anyone new to the series to pick up the pieces. There are A LOT of familiar faces but Singer and his team also managed to expand the universe further – introducing characters like Bishop, Sunspot, Blink, Warpath and Ink. It’s a truly impressive feat, which after some miserable efforts with the Wolverine spin-off films, gives some credibility back to Sony as the rightful home for this franchise. And while Singer did incredibly well at filling 90% of the gaps between the original trilogy, the Wolverine solo movies and the game-changing First Class, there are still plenty of questions remaining unanswered. PLEASE NOTE: THERE ARE PLENTY OF SPOILERS BELOW. IF YOU HAVEN’T SEEN THIS FILM THEN DO NOT READ FURTHER. Professor X is alive and well in the future, so how did that happen? In Brett Ratner’s terrible X-Men: The Last Stand, Professor X was obliterated by Phoenix – however, during an end-credit sequence it was revealed that his mind was in fact transferred to an unknown host. Brett Ratner even revealed in the DVD commentary that the patient was in fact Xavier’s brain dead twin brother. In the same end-credit scene from The Last Stand, the doctor tending to Xavier’s new host body is Moira MacTaggert (played by Olivia Williams). 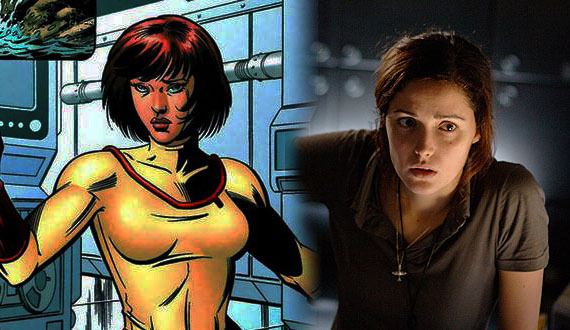 The same character appears again in Matthew Vaughn’s franchise-saving X-Men: First Class (played this time by Rose Byrne). For the character to play such a vital role in Charles Xavier’s life it’s surprising she wasn’t even mentioned in DOFP – after all, she’s the one who named them X-Men! Where is Wolverine’s classic yellow suit? 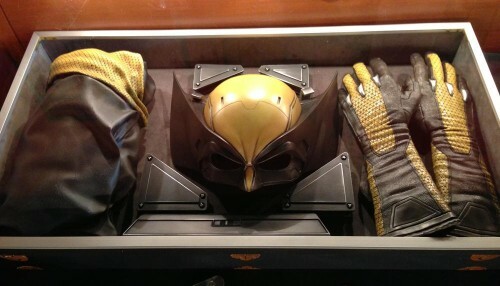 A deleted scene from James Mangold’s The Wolverine was included on the Blu Ray release, which had Wolverine open a gift from his friend Yukio. And while it’s hinted at with some yellow on his arms, it would have been cool to introduce the futuristic Logan rocking the iconic threads. What actually happened in the time between The Wolverine and Days of Future Past? Similarly, in the end-credit sequence from Mangold’s The Wolverine, we are reintroduced to Professor X and Magneto (the Stewart & McKellen versions) trying to recruit Wolverine for a new mission. Considering the time difference and the fact the world looks much different in future-set DOFP, it’s unsure what they’ve all been up to in the time between. There’s still potential for a bridging story. If Mystique is William Stryker, then what happens to Wolverine? One of the best Easter Eggs in DOFP is the appearance of William Stryker (played by Josh Helman) as Boliver Trask’s right-hand man. Stryker is the villainous military, mutant-hater responsible for giving Wolverine his adamantium skeleton and claws. They even mention his son Jason (from X-2). At the very end of DOFP it’s revealed that Mystique is disguising herself as Stryker and takes custody of Wolverine. We don’t get to see Wolverine’s claws in the future world, so it’s hard to say what happened to him. Perhaps Mystique stopped the Weapon X program from ever happening… or perhaps she was running it all along! Is Peter Maximoff (a.k.a. 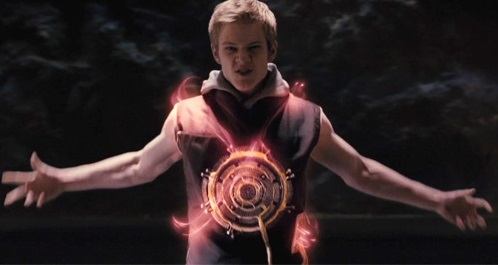 Quicksilver) Magneto’s son? There was a lot of speculation regarding whether or not this would be revealed in DOFP. The moment is brushed over when Maximoff let slip his mother had a friend who could also manipulate metal, but that’s about it. Quicksilver’s scene is one of the best in DOFP, so don’t be surprised if the character returns again in the series. And was that Quicksilver’s sister Wanda sitting on his lap? According to Bryan Singer, it’s definitely not. In an interview with Empire Magazine the director revealed that it’s just his little sister… some are guessing it’s in fact the character Polaris. If Jean Grey and Cyclops are still alive, does that mean the events within the original X-Men trilogy only ever happened in Wolverine’s head? Now it gets confusing… But when young Xavier looks into Wolverine’s mind he sees many scenes from The Last Stand (poor guy), including Jean Grey’s death. For both Grey and Cyclops to appear unharmed in the newly-created future, means the events within all three of the original trilogy, as well as the two Wolverine solo films, are now completely redundant. This also means Sony can basically start fresh if they want, creating all types of new parallel stories that don’t need to stay in line with previously constructed character arcs. When you think about it, it’s a really clever way of cleaning the slate and allowing them to hold onto the franchise for as long as they want. Will Havoc’s relationship to Cyclops be revealed? If so, will they still be siblings? With the same surname, it’s kind of hard for Singer to leave the relationship between Scott and Alexander Summers unexplained. Their father in the comics, Corsair had some ties with Apocalypse, so he may still appear. But given the huge time difference, it’s probably more likely Havoc will be revealed as Cyclops’ dad. What will happen in Apocalypse? The end-credit scene is set in Ancient Egypt so it’s hard to tell where in the cinematic timeline he will reappear. What we do know is that the origin story is basically the same, as his given name (En Sabah Nur) is chanted and the Four Horseman are off in the distance.